Difference Between Group Term Life Insurance and Term Life Insurance? What is the Difference Between Group Term Life Insurance and Term Life Insurance? If you are considering the purchase of your own life insurance plan but you have coverage through your employer provided group term life policy, you may want to learn about the differences of these two types of insurance. Group term life insurance is a type of term insurance whereby the life insurer issues the employer a "Master Contract" with coverage extended to employees. Group term life insurance is relatively inexpensive compared to buying your own individual life insurance policy. As a result, participation is high among employees. It is commonly a component of a comprehensive employee benefits package. Group Term Life Insurance is a group life insurance policy that provides coverage for one year, and is renewed by your employer on an annual basis. The life insurance coverage is renewable at the end of each year. Renewable means the coverage may be continued for another year at the end of the first year’s policy period. Group life insurance is "Experienced Rated", meaning the renewal premium offered upon renewal of the group term life policy is based on such factors as the loss record (number of deaths) of the group insured, and the range of ages of the insured employees. In a group term insurance policy, all employees are insured by the policy. Coverage provided by the group term plan is temporary, as the policy period is for one year at a time, and may be renewed annually. Also, upon termination of employment, the employee usually does not convert their term coverage to a permanent life insurance policy, because the premiums are much higher. Group term life insurance usually provides limits of coverage up to 1-2 times your annual salary, or income. Or, it may provide the same level of coverage to each employee insured by the group policy. Also, some plans may be paid 100% by the employer, allowing for additional coverage to be purchased, if paid by the employee buying the additional insurance. Group life insurance plans and coverage amounts may vary by the life insurer offering group coverage, and which type of life insurance plan is chosen by your employer. 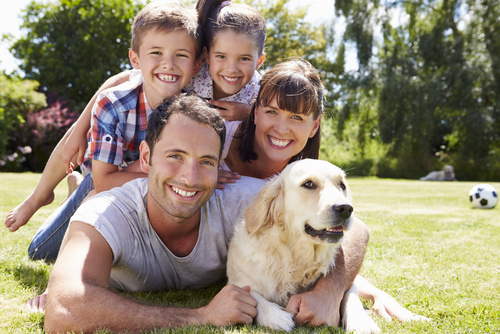 Term life insurance provides you with temporary life insurance for a specific number of years. You can choose coverage for a "Term" of 10, 15, 20 or 30 years. Term life builds no cash value inside the policy, it is not an investment, it is "Pure Protection". That’s why it usually costs 2 to 3 times less than permanent life insurance. Term life is the lowest cost type of life insurance. Term life insurance lasts for a set period of time up to 30 years. Term life policies pay the beneficiary the face amount of the term life policy if the insured person dies during the term of the policy. For example, a 10-year term life policy with a face amount of $250,000 would pay $250,000 to your beneficiary if you die any time during those 10 years. If you're alive at the end of the policy term, the coverage ends. The annual insurance premium for your policy stays the same each year. The face amount of coverage also stays the same. Level term life policies can last up to 30 years. Before the end of the term for your policy, the life insurance policy owner (you) may be able to convert the term life policy into a permanent life policy. The owner usually has a specific number of years during the term insurance policy to convert the coverage. Your premiums will be higher for the permanent insurance. Term policies that are renewable offer the owner of the policy the option of renewing the policy at the end of the term, up to a specific age limit (usually age 65 or 70). For example, a 10-year policy may be renewed for another 10 years when the first policy ends. If the policy is renewed, a medical exam may or may not be required. The term life insurance premium will usually increase when the policy is renewed. Employers offer voluntary life insurance so that all employees have the opportunity to purchase the amount of life insurance protection they need, at a group rate. All groups that offer voluntary life insurance also offer basic term insurance normally paid for by the employer. The basic life insurance is either a multiple of the employee's wages or a specific amount such as $10,000 up to $50,000. Both voluntary and basic life insurance are offer through your employer, and they are both term insurance plans. Term insurance is available through personal purchase also. It's far more inexpensive than whole life, variable life or universal life policies that offer a cash value that grows over time inside your plan. Just like any type of life insurance, voluntary life offers a death benefit paid out to the beneficiary of the policy upon the death of the insured person. Often, because you receive group rates, it's far cheaper than term policies you could purchase on your own, outside of your employment. If you have health issues and have the opportunity to buy voluntary life insurance, there's often a high guaranteed issue amount, sometimes as high as $1,000,000. This means you don't have to answer health questions or take an exam to receive coverage. Normally a lesser guaranteed amount of coverage is available for spouses and children of the insureds. Buying a Term insurance policy on your own usually requires that you answer some health questions when the amount of coverage is that large. If you leave your employer, you may or may not be able to take your group coverage with you by converting it to your own individual permanent life insurance policy, at a much higher premium. In some life insurance policies, whether voluntary life or term life you purchase on your own, there may be an accelerated death benefit available. If you are diagnosed with a terminal illness with less than a year to survive, you can use as much as 75 percent of the death benefit for any use you desire before you pass away. The balance of the death benefit goes to your beneficiaries. Both personally purchased term life and voluntary life insurance often have a waiver of premium benefit that pays the premium if you become disabled. While there is a guaranteed issue amount of life insurance offered on most voluntary life insurance plans, larger amounts of life insurance, or amounts purchased after the enrollment, require that you answer medical questions and sometimes take a medical exam. The procedure is the same as when you purchase your own term insurance policy separate from your employer provided coverage. Voluntary life insurance is one method of purchasing additional life insurance at a lower cost. Regardless of how inexpensive the plan seems to be, always compare rates with traditional term insurance you can purchase outside of your employer provided program. You may find lower prices on term policies, especially if you're in excellent health. The conversion rights on independently purchased term insurance allow you to convert to any type of policy offered by that company. Some voluntary life insurance is only convertible to one type of whole life plan offered by the carrier, which normally costs a lot more money. However, if you have any health issues, it's always best to purchase the maximum amount of voluntary life insurance as you can get without answering health questions. The "Basic" in Basic Life Insurance refers to the fact that employers pay for the cost of the plan. This differs from Voluntary Life Insurance, where employees select and pay for an additional amount of coverage on their own. Many times, an individual’s life insurance needs aren’t met by the minimum coverage provided by the group plan through their employer — and the employee wants to add an additional amount to be paid for through payroll deductions. Voluntary Life Insurance allows an employee to select additional coverage amounts (generally in $10,000 or $25,000 increments) at similarly competitive rates and without the need for evidence of insurability – no health exam. Costs for policies vary, but are generally lower than most people might expect. Insurance companies use the ages and genders of employees to calculate rates charged for the life insurance coverage. Life Insurance Marketing and Research Association studies show that over 40% of employees have no life insurance protection. Another 30% of employees don’t have enough money to pay for the cost of their final expenses, including burial and funeral expenses; as well as, probate. It’s a great way for employers to provide a benefit that’s greatly appreciated at the time of need, and it fills a gap for many employees who haven’t purchased life insurance policies of their own. Most companies choose to provide $50,000—the maximum amount allowable under law that doesn’t cause employees to incur a tax consequence. Probably the second most popular amount is for employers to provide a 1x earnings benefit. So, if you earn $70,000 per year, you would get $70,000 of life insurance from your employer provided program. Other popular amounts are 1.5x or 2x earnings, and a flat $100,000 benefit that will, however, induce a tax burden to the employee for the additional amount over $50,000. Almost all Basic Life Insurance is “Term” insurance, which simply means it has no cash value beyond the death benefit it insures. Group term policies are much more affordable for employees, compared to buying your own individual life insurance policy. Basic life insurance provided by your employer is paid for by the employer. The amount of basic coverage may vary by employer from $10,000 up to $50,000 of coverage. Adding voluntary (additional) term life coverage to your group plan will cost you, but it usually costs less than you would pay for your own policy. However, the amount of coverage available may be limited. You Own Your Policy – You do not rely on your employer to continue the group policy. You Keep Your Coverage – Even if you lose your job, quit your job, or you no longer have a job, for any reason. Group Life Insurance makes coverage available to all employees, even those who may be unable to get insurance (uninsurable) on their own. Owning your own Individual Term Life Policy separate from the coverage you have through your employer means you can continue your insurance even if you are no longer working for your employer. So, you won’t be left without insurance if you own s term life policy outside of work. It protects you and your family regardless of your employment. Although employer provided life insurance plans may be a good idea, there are some drawbacks which make clear your need for your own separate life insurance policy outside of work. You own the life insurance policy. Your coverage will not end if your employment ends. Your premiums will be guaranteed to remain the same for the life of your policy. Your coverage will not be cancelled as long as you pay your premiums on time. You will not have to worry about losing your life insurance coverage. What are the Different Type of Life Insurance Policies?